ARE YOU AN EXPERIENCED OCEAN OR RIVER CRUISER? Thanks for taking the time to review the wonderful itineraries our River Cruise Experts recommend for experienced river cruise travelers. While we don’t yet know your prior experience, the special offers displayed in the chart below were carefully chosen to represent not only the best river cruise values available, but to highlight the more comprehensive and exotic itineraries that traditionally appeal to experienced river or ocean cruise guests. View Premier's hand-picked river cruises for the experienced cruiser in the cruisGENIE™ CRUISE LOCATOR and chart below. By the way... if you haven’t done so already, you should definitely read our article entitled, Is a River Cruise for You?. 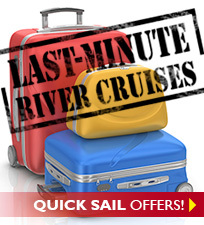 The article is loaded with “must know” and other useful river cruise information. A couple of other must-read articles, especially written for your traveling companion if they're a first time cruiser, are A Day In the Life of MY River Cruise! and Top Ten Reasons for a River Cruise. These in depth articles are sure to give you and your companion a close-up, insiders-view about the fascinating world of river cruising! If this is your first river cruise or merely your first to this destination, you'll really want to get your personalized copy of our COMPASSPOINT™ Guide Series. These exclusive, destination specific guides are FREE when you book with Premier. They contain everything you need to know about your river cruise and how to prepare for it. Premier is the river cruise vacation expert! We’d love to talk with you about your prior river cruise experiences, and show you why we are BEST travel agency to arrange your river cruise. 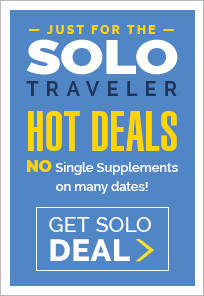 In a nutshell, we’ve been arranging cruise vacations since 1984; and as we like to say, we’re “Powered by Experience.” It’s that experience that allows us to connect the dots far better than other travel agency, but to also get you the BEST deal out there. 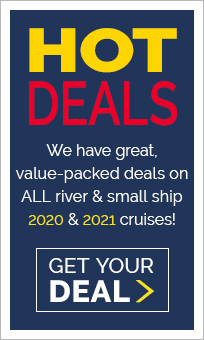 We think it’s also important for you to know that Premier is the ONLY national travel agency that specializes exclusively in the sale of river cruise vacations… and that ultimately means a great deal for you!